Whaaaaaaat. This oughta be pretty cool. Rumor has it, Fast & Furious director Justin Lin is in talks to direct a couple of episodes of the highly anticipated second season of HBO's True Detective. According to Deadline, Justin is talks to direct at least the first two episodes of the critically-acclaimed crime drama's second season. Cary Fukunaga, who directed all eight episodes of season one and won an Emmy for best director for a drama series, is moving on to other feature projects but will remain on as executive producer. As has been the case with anything related to Season 2 of True Detective, HBO declined comment. No cast members or plot for next season have been confirmed, but Colin Ferrell, Taylor Kitsch and Vince Vaughn are expected to be in the cast. Search is underway for a female lead, with a number of actresses auditioning. 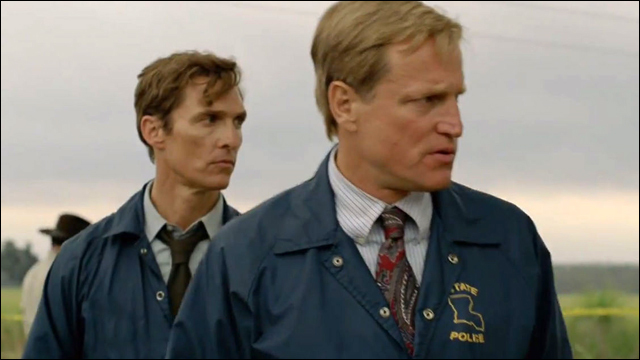 According to circulated breakdowns, the second cycle of True Detective will be set in California and focus on the investigation of a corrupt city manager who gets murdered amidst a potential groundbreaking transportation deal. Meanwhile, Justin Lin is executive producer and directed the pilot episode for the new CBS series Scorpion. The drama follows a misfit team of geniuses "who form the last line of defense against the complex threats of the modern age." The show premieres Monday, September 22 on CBS.